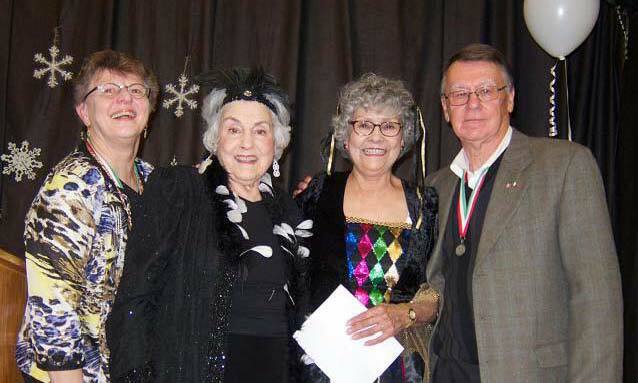 At the Carnivale dinner on February 16, 2014, NBICF paid a special tribute to Jeanette Mancini Mitchell for her 30 years of service to the Foundation. Jeanette, Co-Founder and President of NBICF since 1985, retired from the Presidency of the Board of Directors on February 5. New Board President George Golfieri presented Jeanette with a special certificate from the Italian Consul of San Francisco commemorating her leadership and guidance of the Foundation. Susan Gorin, 1st District Sonoma County Supervisor, paid tribute to Jeanette’s contribution to Sonoma County. The NBICF Board presented Jeanette with 14K gold earrings of Etruscan Design as a token of appreciation for her dedication to NBICF and all 160 guests at Carnevale concluded the celebration with a prosecco toast. This entry was posted in Uncategorized on February 25, 2014 by Don Raimondi. A new NBICF web site is in development. If you would like to participate in the evaluation of the new site and offer constructive criticism to the authors, please click on this link nbicf.users.sonic.net to visit the site. We appreciate your feedback on the quality of the information and ease of use. We solicit your input on a specific design issue. Generally, “red & green” colors are used to highlight titles and activities of interest to our readers. We have used “green underlined text “ for links to other pages and web sites. Is this convention satisfactory? is site navigation simple and easy? Send your feedback via the Contact page. To subscribe to future web site updates, find the E-MAIL SUBSCRIPTION LINK and click on the Subscribe link. A pop-up window will request your email address. Subsequently, you will receive an email to confirm your subscription. This entry was posted in Uncategorized on February 16, 2014 by Don Raimondi. This entry was posted in Uncategorized on February 13, 2014 by Don Raimondi. 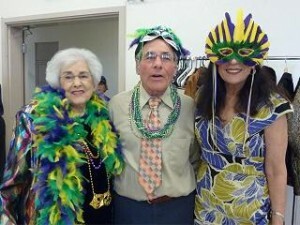 Come to the annual Carnevale celebration. This is a special event with entertainment by the Norquist Dancers and Steve Albini Dance Music. Come in costume or black & white attire. Doors open at 4:30 pm. Dinner Menu: spinach frittata, bay laurel roasted chicken, risotto with peas & asparagus, salad, garlic bread with tiramisu for dessert. Seating limited to 160. Prepaid reservations only must be received by February 12, 2014. This entry was posted in Events, Monthly Dinners on February 12, 2014 by Don Raimondi. Desperate and poor Southern Italian family seeks a way out, and, having heard reports of rivers running in milk and coins falling off of trees, leave their stony rural cottage and buy passage to America. The trip to the boat, aboard the boat, and at Ellis Island is one of wonder and hope and usually very little dialogue. A magical movie that succeeds in illustrating the other, humble, ordinary and tough passage to the new world without mafia dons or violence. The huge disadvantage of illiteracy is beautifully illustrated here, and the risks associated with leaving behind everything. Amazing, touching, real. The customs and rules of early 20th century already seem archaic, even though it was less than 100 years ago. This entry was posted in Events, Sundays at the Center on February 10, 2014 by Don Raimondi. This entry was posted in Uncategorized on February 9, 2014 by Don Raimondi.